Oh, it’s a timeless message, spoken so very long ago, extolling the virtue of living in the moment, neither mourning the past nor hurrying the future. 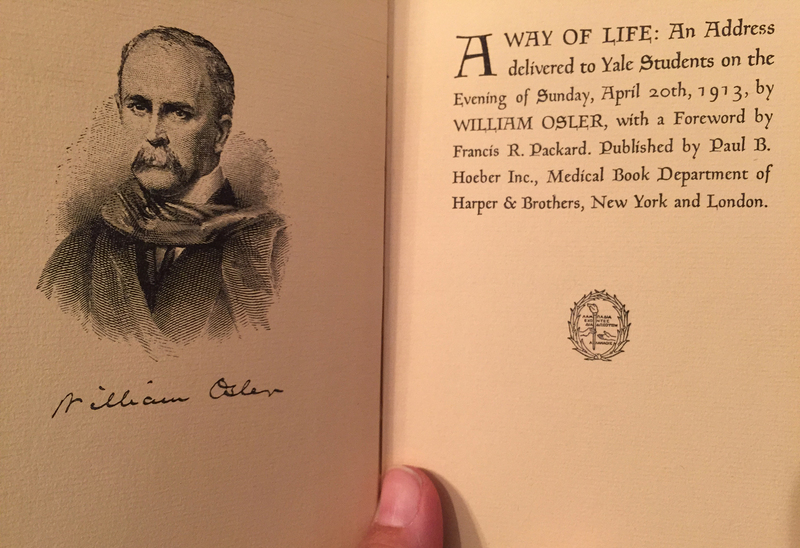 Those words were written (spoken, actually), for an address delivered to Yale students in 1913 by William Osler, a Canadian physician and one of the four founding professors of Johns Hopkins Hospital. Grateful for the reminder to look to this day, not to yesterday or to tomorrow, for a life well-lived. My father obviously treasured this book. I can do no less. It will stay on the bookshelf because its wisdom transcends the years.